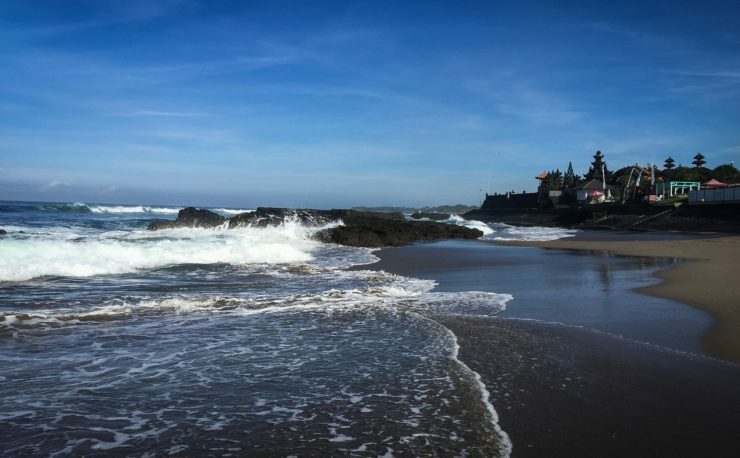 A little information about the village itself which is set around a small but traditional Mediterranean harbour offering everything that one visualizes, especially those familiar with the world of Shirley Valentine. It is the perfect place to produce a TV series. 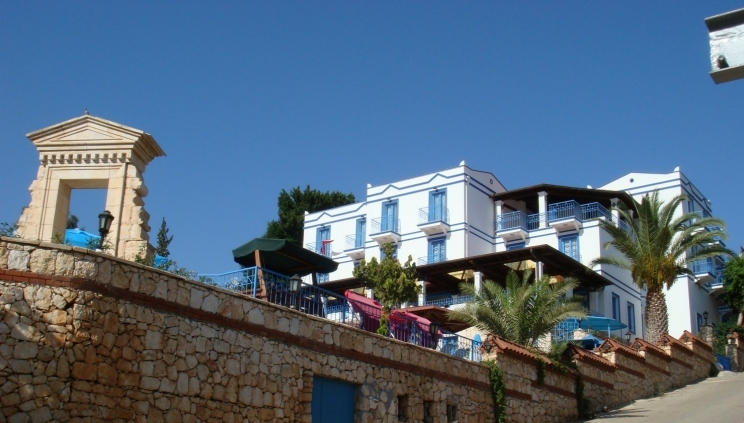 The restaurants are wonderful and the weather is what you would expect when going abroad for sunshine, the cost of living is what we are seeking when traveling abroad and the welcome that you receive from the people of Kalkan is warm friendly and relaxing which helps you to settle into your vacation very quickly. 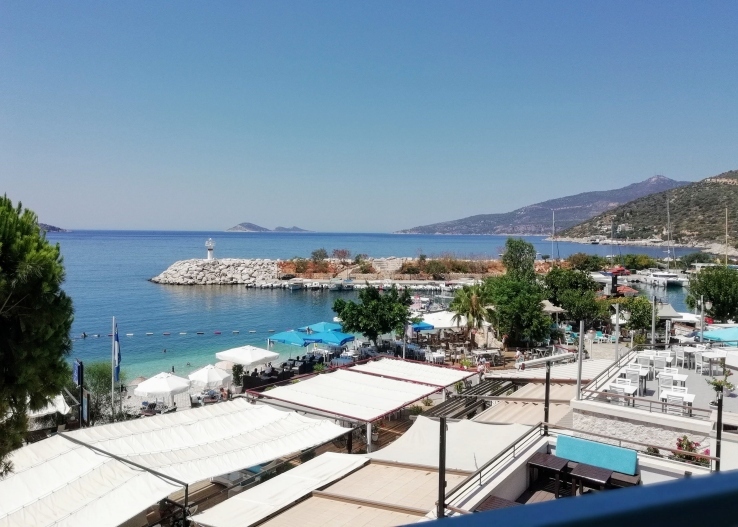 The Hotels in Kalkan are extremely good value especially in the spring and autumn, the weather is also kinder in these months, July and August can be quite hot, however most hotels in Kalkan are air conditioned. 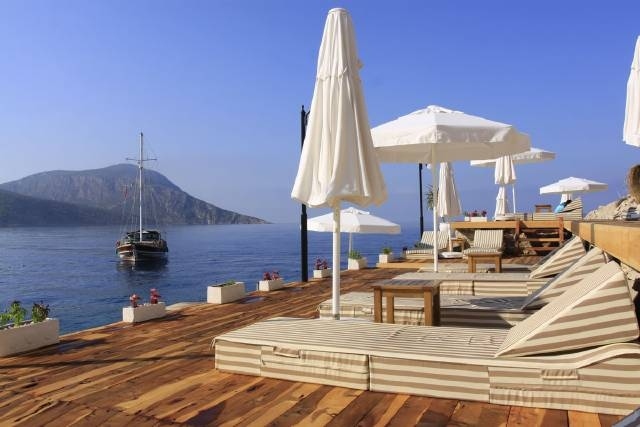 Relax and enjoy Kalkan as it is quite a special place, you will find as your visit unfolds other tourists and you will be surprised how many of these have visited other areas of Turkey but now return to Kalkan, time and time again. The location of Kalkan is ideal to explore historic sites such as Patara beach, the sunken city of Kekova, you can see the ruins of the buildings and walls under the water viewed from glass-bottomed boats. There are well-preserved amphitheater’s nearby, in fact Kalkan is surrounded by history and you will be able to arrange various tours in the village, our associate office will be only to pleased to oblige. 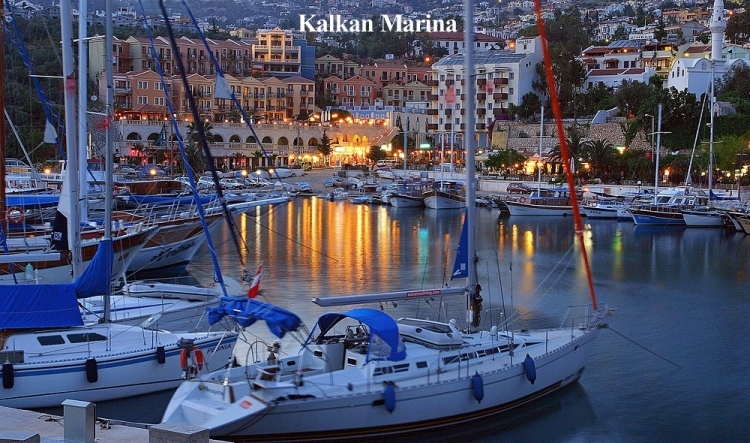 Kalkan itself offers the tourist in particular the shopper looking for a bargain an enjoyable experience, the selection of shops offering good quality merchandise is varied from clothes to spices, leather goods, silk, cotton, wool, wood, gold, silver, pottery, it is all there. Kalkan is special at night, the village transforms itself, it has to be experienced, it is difficult to portray on a website as words or pictures could not do it justice, the rooftop restaurants, the harbour, the village streets, shops and people create an atmosphere that Walt Disney himself would have envied. 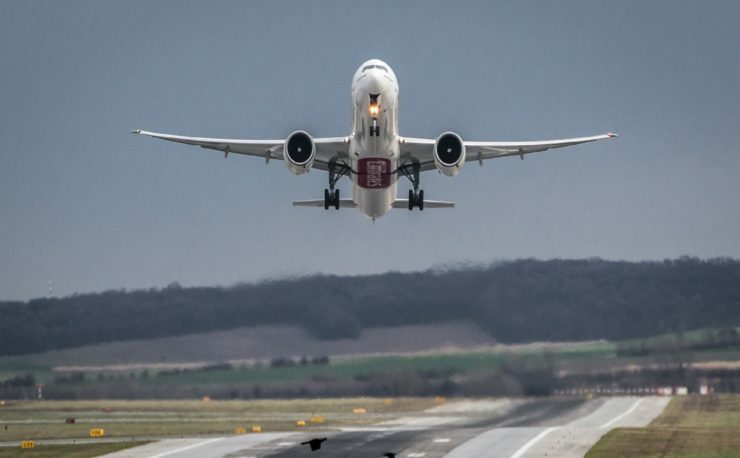 Compare Hundreds of Hotels & Flight Deals.